Dolly Parton to headline Glastonbury 2014? Dolly Parton is rumoured to have been chosen for the Sunday Legends slot at Glastonbury festival next year. 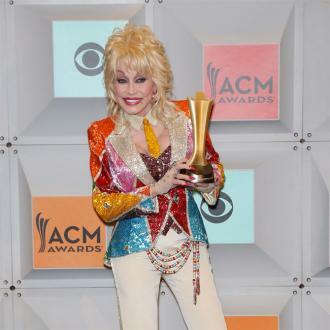 Dolly Parton is reportedly set to headline Glastonbury 2014. The country music icon has been secretly booked to fill the Glastonbury Legends slot on the Sunday of the UK festival, according to The Sun newspaper. The '9 to 5' hitmaker is expected to perform a setlist comprising her greatest hits from her lengthy career when she takes to the Pyramid Stage at Worthy Farm in Somerset, South West England, next June. Dolly is supposedly jetting in from London after performing at the O2 arena on the Saturday evening as part of her 'Blue Smoke' tour, and conveniently has a ''day off'' on the Sunday, according to her schedule. Arcade Fire were the first act confirmed to headline Glastonbury last week, with the indie rockers announcing the news by posting a picture online spelling out four dates for next summer, including the legendary three-day summer festival.